I had fun doing these. I wanted to have a very minimal, paired-down look, especially with the colours and use of line in the background. I think this ‘selectivity’ is part of the reason I like the results, it feels ‘illustrative’ to me, making design-based decisions about my drawing rather than simply drawing for it’s own sake (not that there is anything ‘wrong’ with that!). And the above is where it all started (of course, in the Moleskine!). I had the idea of giving a colleague the gift of a plant but then realised that I didn’t know if they liked plants. 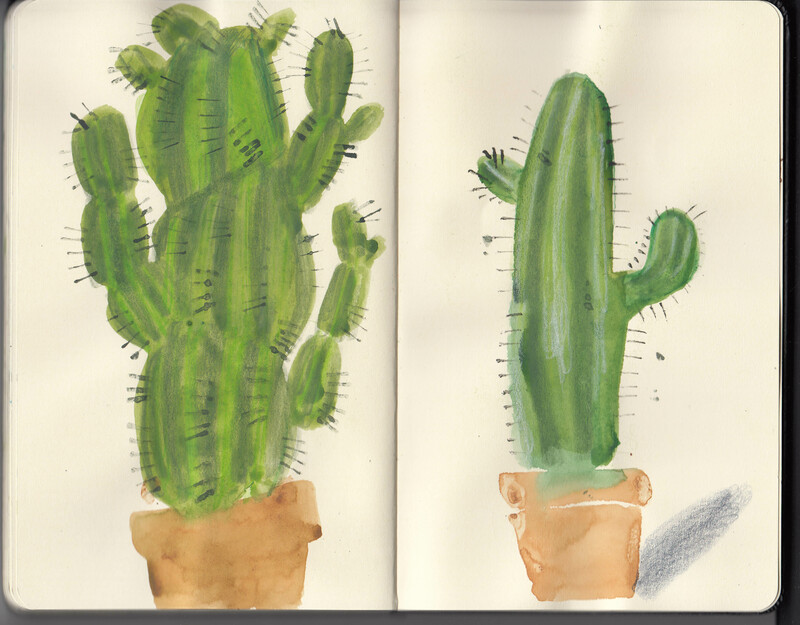 I’d draw them one, I thought, and considered it amusing to draw a cactus because a cactus would be the easiest to look after. 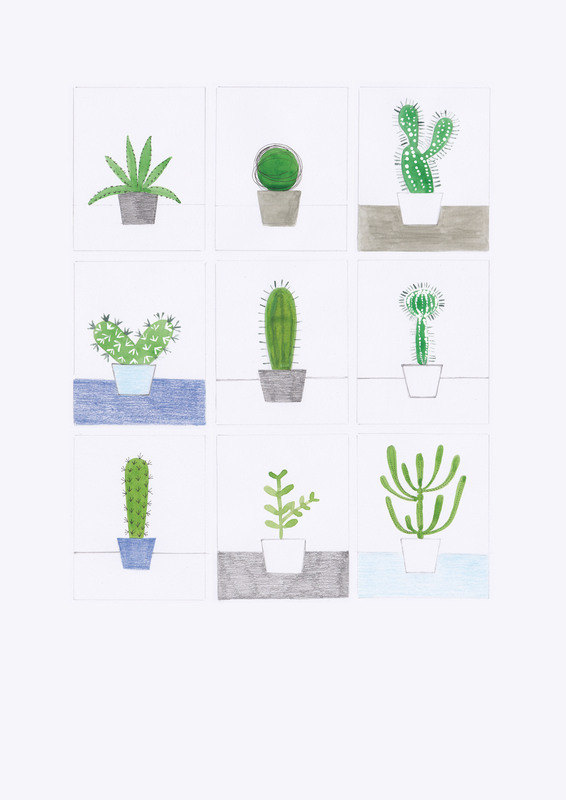 It’s bloomed into a whole thing now, the cactus poster above – I think I might be slightly addicted to drawing cacti and pots! 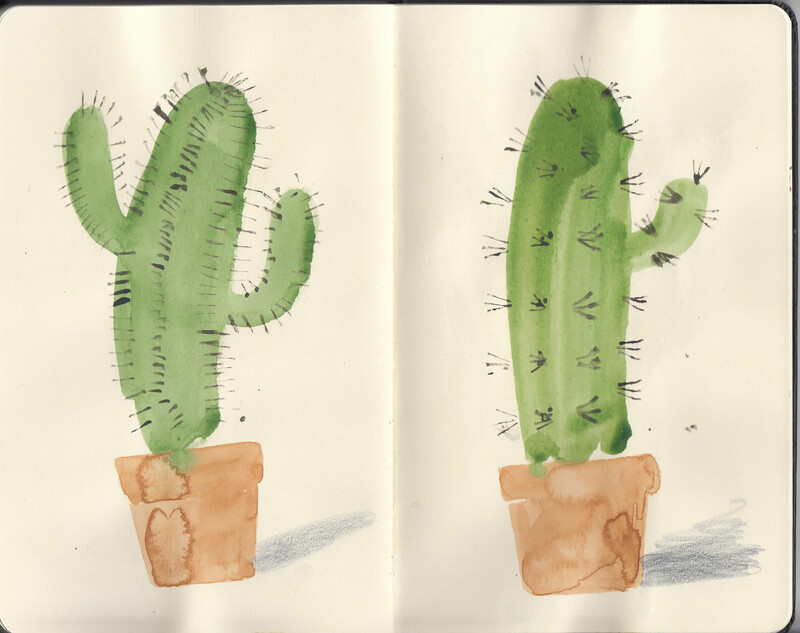 Anyone out there want to commission a ‘kid’s guide to cacti’? (Bound to rush off the shelves). Next post will be about penguins – look out for that!